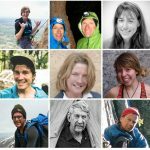 Sending V11 is a feather in your cap. Doing it without being able to see the holds? That’s just on another level. 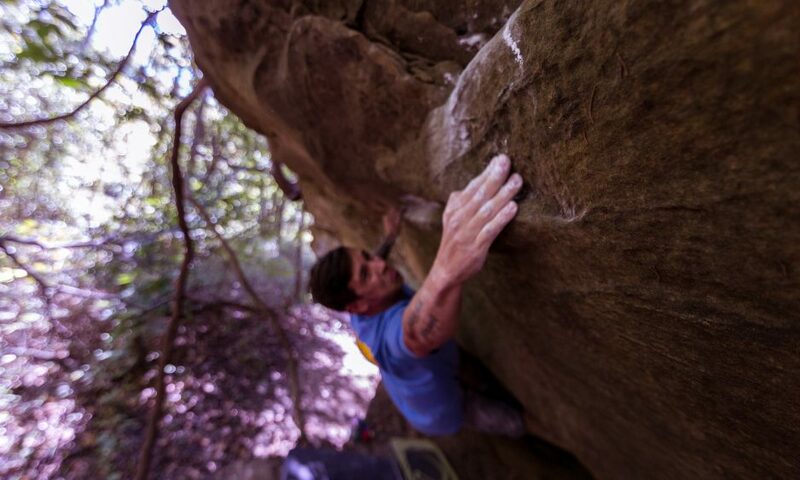 Geometry Class (V7) in Osage, Oklahoma. Photo: Chris Shultes. As a 13-year-old, Oklahoman Justin Salas was your normal, active kid. He liked soccer and riding his BMX bike. At 14, out of the blue, over a short period of time he lost most of his vision. Doctors diagnosed him with Optic Neuropathy of Unknown Origin—”basically a big fancy, title for ‘we don’t know,’” Salas says. Salas in Wichita Wildlife Refuge, Oklahoma. Photo: Andrew Edwards. Blindness affected his life in many ways, yet not always as expected. He kept playing soccer and biking. He also tried rock climbing at a nearby gym for the first time, at a friend’s urging. And climbing—more than blindness—altered the course of his life: “Everything changed,” he says. Though his family couldn’t afford the gym’s yearly membership at the time, that small taste of the sport had gotten under his skin. Fast forward to March 20, 2018. Salas is now 25. 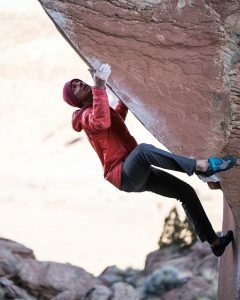 He’s in Joe’s Valley, Utah, bouldering with some buddies. He decides to try a particular problem, Worm Turns, that he had tried unsuccessfully for a couple of days two years prior. “It’s a super long tufa that just sticks out of this roof. It seemed outrageous to me,” he says. This time he is able to send it in his first session. 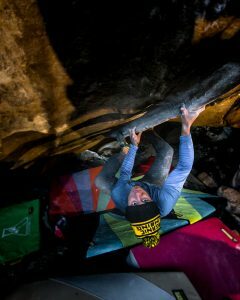 Worm Turns, a problem established by the legendary Jason Kehl, is V11. 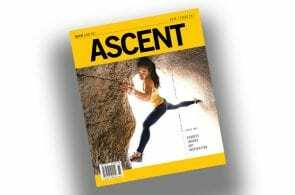 Salas’ ascent makes him the first blind, adaptive climber to send the grade. 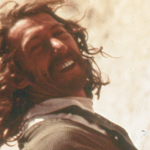 He would top-rope frequently, but spent most of his time bouldering. 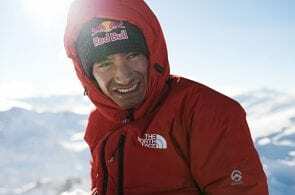 But how does one climb—and at an elite level—without being able to see? When Salas’ vision began deteriorating in his early teen years, the symptoms were concentrated in his central vision. His peripheral vision, while also affected, is somewhat intact. It allows him to get around fairly well, as he can see what’s around him—just not what’s in front of him. “It’s a pretty reactionary-based kind of vision,” he says. “If someone were to throw something at me from the side, I can kind of see something coming and can react. But if it is thrown straight at me I can’t see it at all. 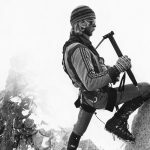 As he kept improving, Salas started competing in adaptive climbing competitions and experienced considerable success, often winning. Salas on Worm Turns (V11), his hardest boulder to date, in Joe’s Valley, Utah. Photo: William Bazargani. 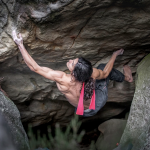 Before climbing Worm Turns, Salas had sent his “fair share” of V8s and 9s. He hadn’t sent V10, but Worm Turns—despite being two grades bigger than his personal best—just appealed to him. 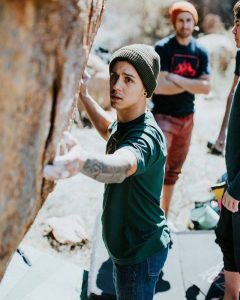 Between the snaking tufa and his strength on pinches, Salas figured it would be a good fit for him, but he also liked the holds. “I’m really attracted to climbs by how the holds feel and body position,” he says. 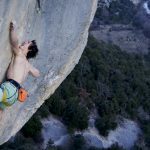 “So I got super psyched when I checked out Worm Turns.” The rest of the story is like any other that makes headlines: hard climber crushes hard rig. Follow Justin Salas on Instagram to see what he’s up to!